Ubuntu cloud image is very good for deploy a simple qemu image system. But the image has it owns password and initial script. 剛好工作上有需要用到在 Ubuntu 做一個新的 netboot image, 這樣就不用等 Canonical release 新版的 netboot image. 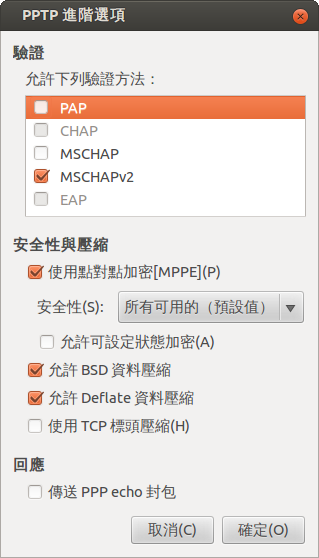 這個時間點, debian mips 的 debootstrap 只有 jessie 是好的, sid 或是 stretch 都有問題. mips64 只有 mips64le , 沒有 mips64 . You should edit this file using visudo. The following command will let you edit the correct file with visudo. enter shell mode and put usb cd-rom . Press ESC in 3 seconds to skip startup.nsh or any other key to continue. 之前升級了 Broadwell 架構的 i7-5775C 之後, 裝了 Windows 7 並且也升級到 Windows 10 . （見 電腦升級 i7 5775c + ASUS Z97-A/USB3.1 ) 似乎沒有太大的問題. 問題在於, 我就是手賤, 喜歡裝 Linux 來用. 這下慘了, 折磨了我一個月才搞定這個問題. ubuntu or kubuntu desktop 版都不支援安裝在 raid 的設備上, 所以需要一些技巧繞過去. How to Install Ubuntu 14.04 with RAID 1 using desktop installer? 安裝的時候要選 /dev/md0p1 /dev/md0p2 /dev/md0p3 不要選別的. 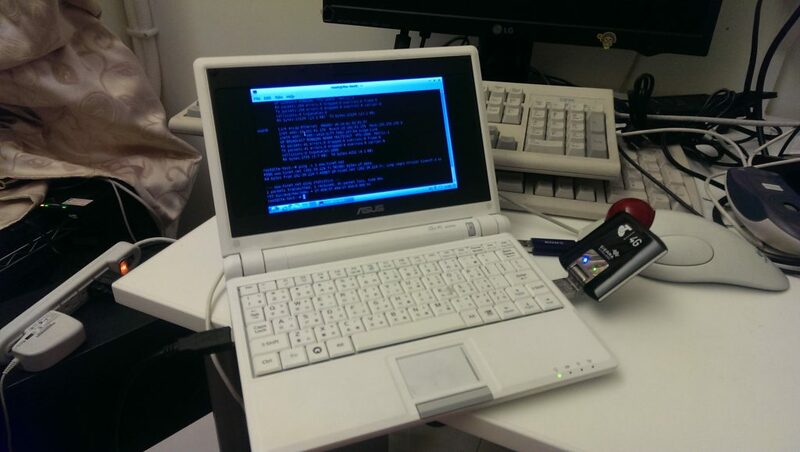 頻道長輩因為 ASUS EeePC 的 4G SSD 有點問題, 就送出這一台 EeePC 701 4G Sure. 還好還有一個 SD Card 插槽, 可以丟一張 8G SD Card 進去, 不過該 SD Card 插槽的介面速度真是悲劇.. 超慢的. Ubuntu 連 PPTP Server 的設定. 原來用 Windows 的 PPTP 連得好好的, 但是在 Linux 下一直連不進去, 莫名其妙試到一個可以的設定.